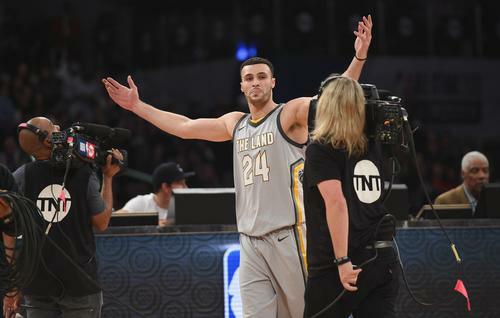 Larry Nance Jr conjured up images old last Saturday, recreating his father's signature "palmed ball dunk" at the all-star game. With poetic justice served just in time for the trade deadline, the homecoming the Nance family had hoped for is finally upon us, but don't expect Junior to retreat back to his teenage quarters. "We’re out looking for rental properties and stuff like that, she's like, 'Oh, I've got, you know, our basement's pretty nice.' So that's probably been the toughest thing." As far as family reunions are concerned, the Cleveland Cavalier head fice have taken further steps to ensuring his warm welcome, allowing Larry to assume his father's "22" jersey number which had been since retired by the franchise in honor past achievements with the club. Larry will gear up with his new number in Tuesday's rumble with the Brooklyn Nets, the power numbers now spelled out clearly to opposing bigs.